Earn $0.99 in VIP credit (99 points)What's This? The Omni 3 is an efficient and affordable light designed to increase your visibility after dark. Three super bright LEDs, three lighting modes and an Omni Directional reflector demand attention out on the road. And, on just two AAA batteries (included), the Omni 3 will run up to 150 hours. The simple, tool-free FlexTight bracket and included clothing clip allow you to easily attach the Omni 3 anywhere you'd like. I use it in the day time too - it's really bright. Fits the triangular carbon seat post on my Cervelo SLC. Sometimes simple is best. I put this on the back of my saddle bag. I won't ride on the road without a rear light. Very viable from a long distance away. Great light, bright, simple. easy to attach. I switch this form bike to bike as needed. simple and easy to attach. very bright. I like the 3 different modes. I clip this light to the back of my rear wheel carry box. 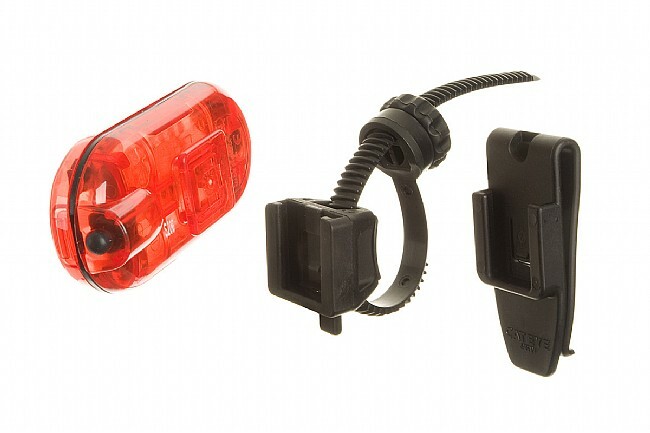 It works great, is bright and with a selection of settings for either blinking pattern or solid light, I know I am seen by vehicles coming up from behind. I like the sturdy clip and the sealed outer shell of the light. I like how it can essentially go anywhere on my bike. 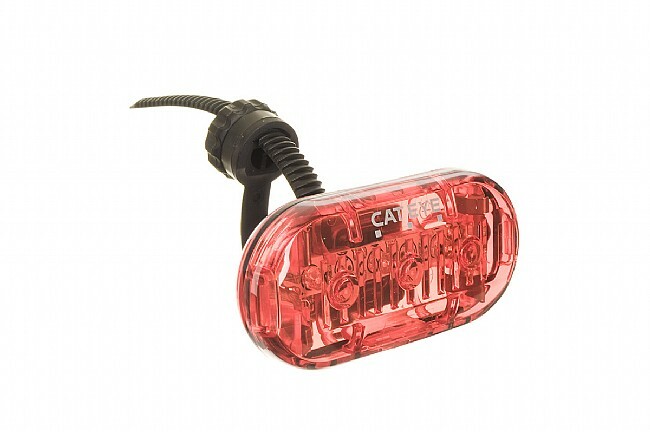 This tail light is awesome and it is also very bright in every setting you have it at. Bright and easy to use! I use this light on my road bike. Easy to use and bright. Also has a few different ways it can be used. Good light for the money no cons. I like this light because it attaches and unattaches easily without tools. It has 3 blinker patterns (not sure why more are needed?) and puts out plenty of light. I ride in the city and feel more secure at night as a result. I recommend it, especially for the price.